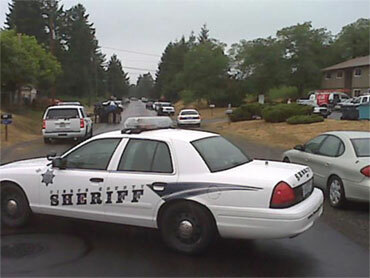 A man stopped breathing and died after a Pierce County sheriff's deputy stunned him with a Taser. Sgt. Jerry Bates told CBS Affiliate KIRO that officers were called about 8:30 a.m. this morning to a reported attempted break-in at a home. Bates said the man was breaking windows and refused to cooperate with police. A Taser brand stun gun was used to subdue the man, who died. The News Tribune reports paramedics were called when he stopped breathing but he could not be revived. KIRO reports the man appeared to have been beaten before officers arrived. Spanaway is located about 37 miles south of Seattle.